Apartment is located in 5 min. walk from Nevsky prospect and Dvorcovaya Sq. Flat is equipped with all necessary thing for comfortable living: double sofa, king-sized bed, double inflatable bed. 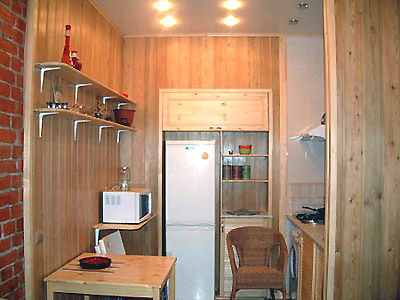 Also there are refrigerator, microwave oven, electric kettle, dishwasher machine, washing machine, etc. Apartment is located in pedestrian accesibility from the most main places of interest: Winter Palace, Russian Museum, St. Isaak's Cathedral etc.